Finding prime development land in the right place, time and condition isn’t always easy. However, by combining 21st century geo-technology with advanced risk-management skills, we can unlock brownfield acres under our feet and valuable surface ground above that could otherwise be lost. Welcome to the not-so-black-art of Geotechnical and Geo-environmental infrastructure! Our first reaction to terms like “geotechnical engineering” and “geoscience” is probably to think of two familiar examples – Time Team’s popular TV introduction to geophysics through “geofizz” and ground penetrating radar, plus the unfortunate Leaning Tower of Pisa. I would like to add a third example which I think sets a new precedent in how we can use powerful technical and specialist risk assessment skills together. The result is design solutions pinpointing practical opportunities deep within the type of past, present and future sub-surface problems it took 845 years to resolve in Pisa! Later, I explain how this works, but first, a short introduction to the scheme in question; Briefly, an Isle of Wight brownfield redevelopment site was constrained by potentially unstable slopes, high lateral earth pressures and complex underground structures. Our work meant that a valuable commercial venture on a prime urban site can now go ahead safely and cost-effectively through an innovative ground engineering programme and appropriate risk management. Maximising the re-use of brownfield sites is critically important to the UK economy. However, sites occasionally throw up really tough challenges. Increasingly frequency and intensity wet weather events linked to climate change can make these worse. Water can generate slope stability problems – through increase in pore water pressures, but powerful groundwater flow patterns and surface fluvial flows also create damage. Climate change has another effect. We urgently need to build long-term resilience – absorbing potential impacts without losing functionality – into commercial and public property, plus rails, roads, waterways and community systems involving cuttings, foundations and embankments. All this needs to be done economically. Fortunately, geotechnical engineering gives us the necessary tools. To understand how they help us, we need to go back to the roots of geoscience. Pisa’s leaning tower is a classic example of ambitious building plans with almost no geotechnical knowledge. It also illustrates the progress modern geotechnical engineering has made on three different levels – the first is the choice of site and evaluation of ground conditions. This is a key and often critical stage of risk management. When building started in 1173 on poor clay ground, subsidence was already obvious. The 56m high tower is actually curved as medieval builders tried to return it to vertical with each new layer of masonry. Partly because of their heroic efforts, Pisa is often cited as the trigger that led to a more scientific approach to building foundations. Early progress was slow. Theoretical advances and empirical lessons in the 18th, 19th and 20th centuries – and importantly computer based analytical software – have brought us up to date. Modern geotechnical engineering anticipates how earth materials will behave. We can now design today’s engineering structures, e.g. dams, harbours, airports, high-rise buildings, bridges, tunnels, reservoirs and hazardous waste sites; so they do not; sink, erode, fail or vanish into the ground during their intended design life. Modern geotechnical engineers study not only soils but also complex rock and geological structures that may be static or dynamic in how they affect vulnerable surface and sub-surface structures. We now understand how deep foundations – often based on piles, drilled shafts, caissons, piers or earth stabilised columns – transmit heavy loads into different types of ground. Shallow foundations with conventional engineering solutions typically transfer lighter loads to the near-surface. We also use footings to distribute local point loads. Slab foundations carry a structure’s entire load on a single concrete plinth. We also know how structures like retaining walls can be used to stabilise ground from downslope movements or erosion, plus gravity walls with the size and weight to resist lateral ground pressures. These are the technical tools. However, we can go further in critical situations. With expert risk assessment added, we can help clients to make investment decisions via a detailed interpretation and understanding of factors and opportunities that “specialist consultants” often miss. I add early and key stage risk management skills to Enzygo services, supported by expertise on projects ranging from multi-million-pound ground investigations for land developers in the UK to huge Dubai sky-scrapers, along with nationally significant bridges and highway schemes. My specific specialist experience includes temporary works, foundation & slope stability assessments, earthquake and liquefaction design and assessment, settlement analysis and ground-structure interaction. We also make expert use of PLAXIS, WALLAP, SLOPE-W, CADS PWS, SURFER, REPUTE & PIGLET geotechnical modelling software. Enzygo was asked to use these skills to solve a significant and relatively high-risk slope stability and retaining wall design for a prestigious Premier Inn development at Sandown on the Isle of Wight. The 80m by 30m site was relatively small site but valuable because of its location. It was also constrained by underground features of unknown integrity and particularly by a significant existing retaining wall of questionable quality supporting various infrastructure behind. Buildability and construction of the proposed structure to manage all foreseeable risks during construction. Based on our findings, we recommended that the future development should be supported on a combination of piles and a ground-bearing slabs along with either a new reinforced concrete retaining wall or appropriate strengthening of the existing retaining wall sufficient to remove the risk of internal and extensive deep-seated failures. In addition, all reasonably foreseeable risks associated with the development were discussed with the contractor on site. Appropriate risk management was then implemented, with all salient risk[s] that couldn’t be eliminated or reduced carried forward to the construction phase plan/health and safety file. The key point I think it is important to emphasis is that in many ways it might have been easier for a consultant to back off from actual and perceived risks. But this would been a disservice to the client. 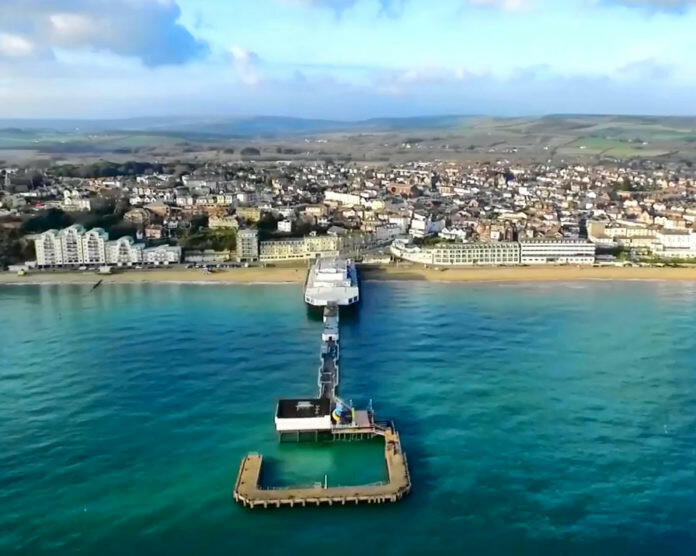 The aim of the Isle of Wight project was to build up a comprehensive understanding of the site’s sub and superstructure so that all risks could be factored in at minimum effective cost from the start. This is a second area where the Pisa builders might have envied our foresight. Even so, the tower is also a rather fetching example of successful geotechnical engineering mitigation where literally “push comes to shove”. When it reached 15 feet off vertical and was predicted to fall between 2030 and 2040, a £20 million high-tech project in 2007 took 70 tonnes of earth very carefully from under its northern edge. As a result, the tower adjusted itself 45cm closer to vertical – reducing its inclination from 5.5° to 4.0°. Its longevity is now said to be 200 years, or indefinite! We prefer not to wait for 800 years! Most Enzygo projects begin with a very practical site walkover by our qualified engineers. Geological mapping, detailed survey work and photogrammetry come next – with all important due-diligence of all available information. Intrusive investigations follow, as Time Team’s ever-popular ground-penetrating radar does not yet give the results we quite need in engineering but can often help inform! The Enzygo Geo-environmental team’s tailored Geotechnical and Geo-environmental services (https://www.enzygo.com/services/geo-environmental/) are designed to help all clients achieve maximum value from all potential schemes. I mentioned the “unfortunate” leaning tower when history has created a financially-rewarding tourist attraction that we can’t promise to repeat. However, there is a third area where the original Pisa engineers might have learned from us – the importance of detailed due diligence, i.e. desk studies. So, my first question is did the town take its name in 600 BC from a Greek word meaning “marshy land”? Yes, this seems to be true and could have saved centuries of trouble to come. The second is whether there ever were serious plans to attach a clock to the leaning tower on the premise that it would then have “both the time and the inclination”? I am happy to answer this and all other geo-environmental and geotechnical questions. Do please contact me directly for more information. All discussions are confidential.